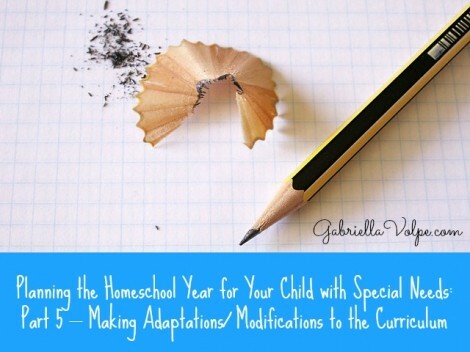 Planning the Homeschool Year for Your Child with Special Needs: Part 5 – Making Adaptations/ Modifications to the Curriculum - GABRIELLA VOLPE, B.Ed.GABRIELLA VOLPE, B.Ed. This is part 5 in the planning series. If you haven’t read the other parts yet, I encourage you to do so before reading below since each part builds upon the next. Part 1 is about defining your family’s philosophy of education, part 2 is about finding your child’s dominant intelligence(s) and learning style, part 3 describes different educational styles and part 4 helps you locate your region’s curriculum/ educational program. In this post, you’ll learn about the important elements needed to adapt/ modify the curriculum for your child and the difference between the two. I’ve been looking at the preschool curriculum for years and wondering if my son will ever be able to attempt any of those standards because of his significant developmental delays. You probably have similar questions around how to take your province/ state’s somewhat complex curriculum and have it fit your child’s unique needs. How do you know which your child will need? Where do you begin to make adaptations and modifications? What kind of adaptations can you make? What type of modifications can you make? One thing I would like to drive home from the start is to not look too far ahead in goal-setting because your child will change (and surprise you!) My son was not ready for any kind of schooling until 6 months ago. I began seeing signs of readiness for “schooling” and knew that things would only become increasingly possible from then on. However, there is no use looking at, say, the grade 1 curriculum if he is only beginning the preschool phase, even though he is almost 6. I need to allow him time to meet the early goals without getting ahead of myself. If you assess your child’s readiness for school years before he’s even of age, then, you are setting yourself up for disappointment. Your child will progress, even if the strides are minute and only visible to you. You simply need to give him the time he needs to get there, so don’t push schooling before he’s ready or of legal school age. You’ve probably heard these words tossed around and might even believe they are one and the same. However, they differ greatly. Adapting a curriculum means you will take the provincial/ state curriculum and work towards it in methods that most meet your child’s learning style and intelligence(s). What gets changed, or adapted, is the approach you will use for your child to acquire those standards/ competencies. 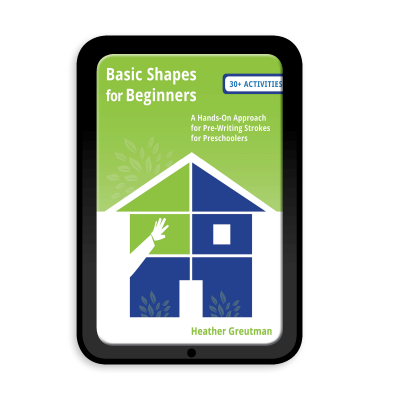 Adaptations are usually made for the child who can follow grade-level standards (more or less) but who needs to learn in a specific way – such as using manipulatives or by being given extra time to complete a task so that he can work at his own pace. When modifying a curriculum/ program, the changes are being made to the standards/ competencies because you know your child cannot possibly meet them at this time. Children with significant delays often work on a modified program that is individual to his ability level (not age or grade level). If a child is on a modified program, the goal might be to learn to turn the pages of a book rather than actually read the book – even if the child is 10 years old. 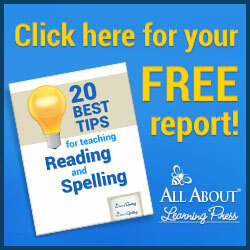 There is no use expecting that child to learn to read if he has no concept of letters and numbers yet. Modifying the curriculum to meet the child where he is at is a very necessary first step in his education. Having him engage with a book and having him understand that it has a beginning, an end and a story in-between are critical steps to getting a child to understand that those symbols on a page mean something. 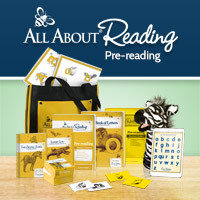 It is also very possible that a child never learns to read, making the need for modifications all that more imperative. You’re the parent. You know. Even if it’s difficult to swallow, you know whether you will need to adapt the curriculum, or to modify it. So, how to break ground with this? 1- A copy of your province or state’s curriculum/ educational program (as discussed in part 4). Note that Quebec published an educational program for students with a profound intellectual impairment and it is worth the look even if your child does not have a profound impairment. 2- The most recent evaluation you have available from your child’s school (if your child was not homeschooled last year), the rehabilitation center your child receives services from, or a psychologist. It could also be the most recent IEP, if your child has one. 3- A list of your own goals for your child. Besides all of the Ministry of Education’s requirements, what do you want your child to achieve in this year? These goals might overlap the latest assessment if those points were included at the time of the meeting. However, at times, there is such a large gap between the time that assessment was done, the time the report came out, and the time your child is actually ready for “school”. 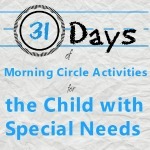 Even one month can bring on changes in your child requiring you to have new goals for him. 4- Your child’s dominant intelligence(s) and learning style (part 2 in this series). You will need some time to read or reread these documents/ lists and combine the four in order to create a modified or adapted program. The Quebec Educational Program, the latest assessment, my own goals, my son’s dominant intelligences and learning style help me to modify the curriculum for him. Positioning – standing, sitting at desk, sitting on floor, sitting on chair, kneeling, etc.? Pace – What pace does your child need to learn, practice and master a task? Time – How much “space” to absorb the learning does your child need? Sometimes, moving on to something else and coming back to the concept makes a world of difference. Sometimes, repetition over several days works better. Limiting the amount of work – Rather than piling your child on with tons of math exercises, can you limit them to 3-5 (or another number appropriate for your child’s attention span)? Physical Space – indoors, outdoors, in the car? Teaching to learning style/ dominant intelligence(s) – hands-on, auditory, visuals, etc? Tools – What kinds of manipulatives/ materials/ tools are better for your child? A computer? Adapted scissors? Etc. Time of day – morning, afternoon, evening, before or after a mealtime? Type of activity – fine motor, gross motor? Day of the week – Are weekends better for certain activities (doesn’t need to be Monday to Friday with homeschooling!) while your significant other is around to help? In order to modify the curriculum for my son, I’ve taken the Ministry preschool standards/ competencies and meshed them with his most recent evaluation, added my goals and his learning style and have started brainstorming possible changes for him. The sticky notes are just links I’ve made to all four elements – making it clearer to me what needs to be modified and how. Modifications are more specific because each child is different and the modifications will hardly ever be the same for any two children. You will need to look at what your child can do and what he is expected to do by the grade level he most matches (based on the standards/ competencies), and make the changes accordingly. Your child should be challenged enough to move on to the next skill level, but not so much so that the goal is unattainable. What questions do you have regarding making adaptations or modifications for your child? Devising adaptations and modifications is an individual task that requires extended consideration. I can help you make the changes you need through a private consultation.